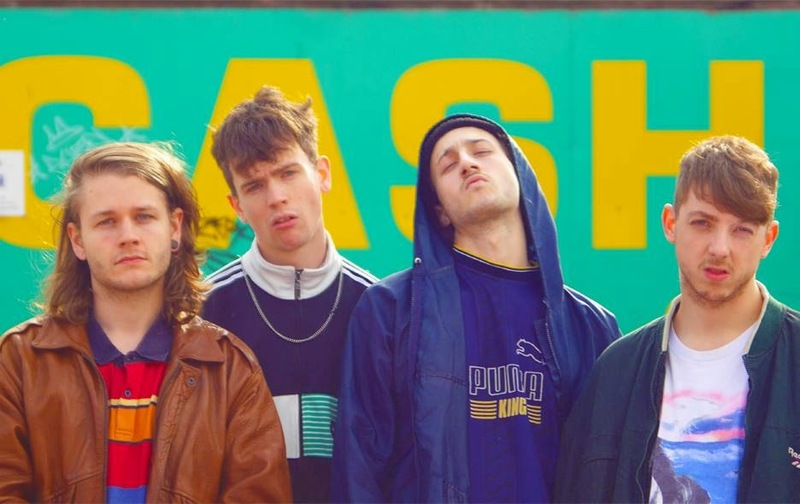 GIVING us their first release back in October, Manchester based foursome, Flesh created a romanticised tale of nineties culture and vulgarity with the track, Vauxhall Casanova. Two months on, and they're back with another wondrous masterpiece, 'Avin it in Ibiza'. Abusing the Madchester groan, Flesh open our eyes to the glorified, scuzzy surroundings exposed within this new track. Mixing garage with minor house, we're once again presented with a special something that passionately revolves around the band's material fascination. Playing on our current obsession with the likes of Stone Roses and our undying love for Oasis, Flesh almost make a mockery of their predecessors, cleverly twisting this to turn the table in their favour. Waking us up from our everyday drab, the humorous element to Avin' it in Ibiza cements the preposterous idea that this sound was even thought up of. The addition of omnipresent beats add a bitter connotation to the instrumental, sniggering like an anarchist at the British regime, paving the way for the overlaying guitar matched to heavy bass lines that define a greater depth. It is clear how the weighty feel of the track is much more appealing than the bog-standard soothing coo of indie drab. What is certain this band work, and work incredibly well. It's ridiculous how they keep churning exciting new material - 2015, please hurry up, we want more Flesh. Be sure to check out their latest video below.